I am 42 years old and am searching for products that can improve the appearance of my skin. 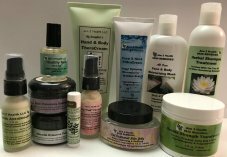 Based upon all I have recently read, including info on this site, I realize everything I have been using on my face has most likely been making my skin worse. I now ask for your guidance! 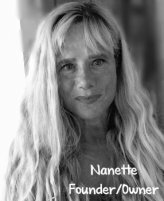 Over the last few months I have developed signs of Rosacea on my cheeks and chin and like most women my age would love to lessen the signs of aging under and next to my eyes. I have cut alcohol and caffeine out of my diet (major contributing factors to my lovely red glow I'm sure), am changing my diet plus working out in an effort to improve my overall health. 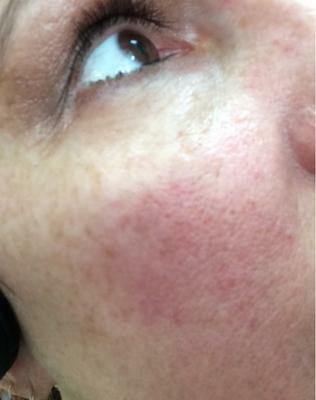 What products would you suggest I purchase to improve the rosacea plus combat the signs of ageing? Please Help! It is very unfortunate but true that most facial cleansers, creams and anti aging products are loaded with ingredients that can be quite toxic to the skin, breaking down and damaging the natural acid mantle and causing a variety of stressful symptoms. If you strip the skin of its acidic mantle by using strong alkaline soaps/cleansers this will leave the skin defenseless and unprotected. If what you are seeing on your face is rosacea, it's very beneficial that you have cut out what tend to be key triggers for this condition (as well as a lot of skin conditions and aging for that matter) and improving your diet and including exercise in your daily regimen as this affects the skin as well. Here are my recommendations for you Andrea: first cleanse with our All Over Face & Body Wash which is gentle and soothing and will help to restore the natural pH of the skin. Follow this with an application of our Face & Neck TheraCream in the morning daily. In the evening before bedtime, apply our Acai Plus Facial Serum 1 oz followed by our Berry Nourishing Essential Facial Cream. These products will comprise a daily regimen of restorative, hydrating and nourishing ingredients for your facial skin. Many of our customers include taking our Green PowerHouse "Plus" as well since it provides a vast amount of health building nutrients that benefit body and skin. Please keep me posted on your progress Andrea.